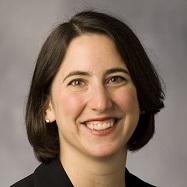 Gassman-Pines is a community and developmental psychologist whose research focuses on family context factors that influence low-income children’s development. She has conducted research examining how low-wage work environments, community-wide job losses, and social policies affect poor families in the U.S. She was formerly a community representative to the Philadelphia Prekindergarten Head Start Parent Policy Council and has collaborated with state and local social services policymakers in North Carolina. "Mass Job Loss Connected to Suicidal Behavior," Anna Gassman-Pines, Interview with Leonida Inge, WUNC, August 15, 2014. "Long-Term Unemployment Assistance Helps Families, Communities," Anna Gassman-Pines, Newark Starledger, June 27, 2014. "SNAP Recency and Educational Outcomes" (with Laura Bellows). Social Science Research Network (2015). Shows that low-income children’s academic achievement test scores vary depending on the amount of time that has elapsed since their families received SNAP. Test scores are highest about three weeks after SNAP transfer. "Effects of Mexican Immigrant Parents’ Daily Workplace Discrimination on Child Behavior and Family Functioning" Child Development 86, no. 4 (2015): 1175-1190. Shows that workplace discrimination doesn’t only harm Mexican immigrants, it harms their families too. On days when Mexican immigrants perceived discrimination on the job, they felt more depressed, angry and anxious, and their children had more behavior problems. "How Economic Downturns Affect Child Development: An Interdisciplinary Perspective on Pathways of Influence" (with Christina M. Gibson-Davis and Elizabeth O. Ananat). Child Development Perspectives 9, no. 4 (2015): 233-238. Argues that local economic downturns should be thought of as community-wide events that affect all children in a community, not just those whose parents have lost jobs. "Effects of Statewide Job Losses on Adolescent Suicide-Related Behaviors" (with Elizabeth O. Ananat and Christina M. Gibson-Davis). American Journal of Public Health 104, no. 10 (2014): 1964-1970. Shows that statewide job losses worsen the mental health of adolescents, particularly girls and African Americans.